The five boroughs are situated on a series of islands, meaning there are a lot of options in the city for anyone hoping for a home on a non-tar beach. In this week’s Buy Curious, broker Betty Esola and sales agent Sue Kawczynski​ of City Island Real Estate give us the scoop on City Island, the Bronx's quiet seaside town (and seafood mecca). I've got a budget of about $500,000, and I'd love to find a house on the beach that's still in the city. I've heard that City Island in the Bronx might be a good area to check out. But what kind of place can I get in my price range? What's the commute like? Are there schools and other year-round amenities? With some of the lowest prices of any waterfront neighborhood in the city, $500,000 can get you a long way on City Island, the mile-and-a-half long, half-mile wide island just off of Pelham in the Bronx, with a population of around 4,500. While there are apartments and condos to be had for under $300,000, the majority of the island's 600 to 700 homes consist of bungalows, cottages, and Victorians, which can range anywhere from a few hundred thousand to closer to $1 million, depending on size and location. (It doesn't hurt that taxes in the area tend to be low, and are often a draw for defectors from pricier areas like Westchester). As with all waterfront neighborhoods, prices get higher the closer you get to the bay, but even the island's most expensive options rarely go much above $1.5 million, and are often negotiable. The upshot to lower home prices? Flood insurance that comes at a steep price tag. City Island took a beating during Sandy, and after the storm, many insurance carriers canceled policies for local homeowners. Not all of the island is in the city's highest risk flood zone, but even the cheapest flood insurance policies will run from $2,200 or $2,500 a year. Fordham Street at the center of town is the island's highest point, and the area where rates tend to be lowest. Right on the waterfront, policies can run you $9,000 and up. The most expensive areas are at the end of Ditmars Street, which dips down slightly into wetlands, and at the northeast end of the island, which gets hit particularly hard by nor'easters. Since FEMA bases rates almost entirely on elevation, you'll need to bring in a surveyor before you buy in order to get an elevation certificate, which you can then submit to insurance companies to determine potential flood insurance costs. With a small population of around 4,500, City Island is more of a family-oriented community than a seasonal vacation town--there's a public elementary school (though the nearest high schools are in Pelham), and standard year-round amenities including shops, restaurants, grocery stores, a few bars, and even a microbrewery. If it's boating or beach access you're after, it'd be wise to buy right on the water: all of City Island's beaches are private, but waterfront homes generally come with beach access and/or a designated docking area (there are also a few different yacht clubs in the area). The nearest public beach is Orchard Beach, which is across the water (and City Island Road) in Pelham Bay Park. It's actually the largest park in all of NYC, and also includes a driving range, mini golf, bike paths, and a bird sanctuary. Still, if you're looking for a weekend or summer getaway, there are listings out there specifically advertised as pied-a-terres, and plenty of bungalows cheap enough to work as second homes--just know that you'll be joined by plenty of tourists, who head in on the weekends to scour antique stores and sample the seafood restaurants that the island is known for. While there are rumors afoot that City Island is in the running for a ferry that would go directly into Manhattan, for now, there's only one way on and off the island: City Island Road. This means heavy traffic on weekends, but for day-to-day commuters, there are a couple options. You can take the Bx29 bus off the island to catch the 6 train in Pelham, and the BxM8 runs two express trips into Manhattan every morning (it drops off along Fifth Avenue), and two again in the evening. Because most businesses are located right along City Island Avenue, the roads can sometimes get backed up. But then again, if you're just looking to get around the island, it's small enough that you can walk. 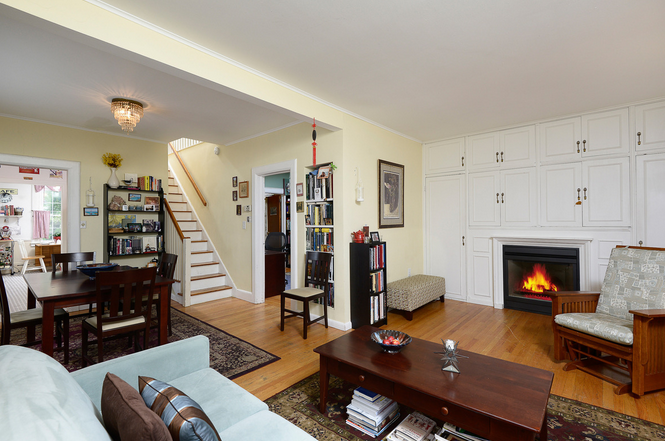 Three-bedroom, two-bath house, $489,000: Located a couple of blocks from the water at 422 Minnieford Avenue (between Ditmars and Bowne), this 1,300-square-foot house includes its own garage, a backyard, a porch, and a gas fireplace in the living room. Three-bungalow lot, $999,000: At 574 Minnieford Avenue (between Kilroe and Cross), this property is also right on the water. It currently includes three separate bungalows that rent out for between $1,200 and $2,500 a month, but could also be used to build a private home or development if you're ready for a project. Two-bedroom, two-bath $439,000: This condo is located in the Boatyard Condos, a gated development with 24-hour security, and building amenities include a pool, covered parking, a squash court, and a pier. 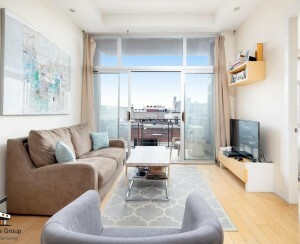 One-bedroom, one-bath condo, $229,000: At 190 Fordham Street (between Minnieford and Fordham Place), this condo unit is a block away from the water, and includes refinished floors, a lofted studio space, as well as two parking spaces in the building and access to a shared roof deck. Three-bedroom, two-bath house, $470,021: Located at 165 Schofield Street (between City Island Avenue and the water), this home includes an enclosed porch, backyard with above-ground pool, two-car garage, recently updated roof, and stainless steel kitchen appliances. Three-bedroom, one-bath house, $490,021: This recently updated home at 162 Ditmars Street (between City Island Avenue and King) includes stainless steel appliances and hardwood floors, as well as basement and attic storage space, wood decking, and a pool.